The Society offers scholarships to aid prospective students; find out more on the Scholarships page. Several universities undertake research in astronomy and offer courses in astronomy. 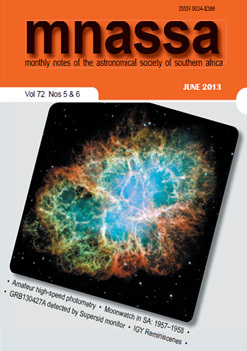 The University of Cape Town (UCT) Astrophysics, Cosmology and Gravity Centre, a research group consisting of the Dept. of Astronomy and the Cosmology and Gravity group in the Dept. of Mathematics and Applied Mathematics, has access to optical, near-infrared and radio facilities (SAAO, SALT and MeerKAT) and contains a theoretical cosmology group. The University of South Africa (UNISA) Dept. of Mathematical Sciences offers a number of postgraduate study opportunities, available through their Centre of Excellence in Computational Relativity, Astrophysics and Cosmology (CRAC). The University of the Free State Dept. of Physics offers postgraduate studies in astrophysics and a graduate programme in astronomy in collaboration with UNISA. The Dept. of Physics at Potchefstroom University holds courses in gamma-ray astronomy and general astrophysics that form part of the regular honours and masters courses. The Dept. of Computational and Applied Mathematics at the University of the Witwatersrand offers an introductory first year course in astronomy and a postgraduate course in cosmology/astrophysics. 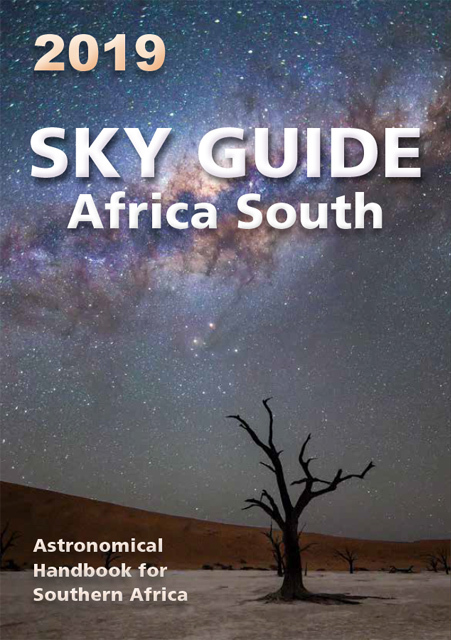 The Astronomy Group at the University of the Western Cape (UWC) researches cosmology and galaxy evolution studies relevant to the MeerKAT/Square Kilometer Array project and to SALT, but also includes stellar evolution studies. Simulations of galaxy evolution are carried out at the Centre for High Performance Computing. The Dept. of Physics and Electronics at Rhodes University specialises in radio astronomy and has its own observatory outside Grahamstown. NASSP (National Astronomy and Space Sciences Programme) was established as a joint project of all the universities offering Honours and Masters degrees in astronomy. The African Institute for Mathematical Sciences (AIMS), situated in Muizenberg, Cape Town, is a collaborative project of the Universities of Cape Town, Stellenbosch, Western Cape, Cambridge, Oxford and Paris-Sud-XI. AIMS offers an intensive nine-month postgraduate course which concentrates on developing research skills. The Astrophysics and Cosmology Research Unit (ACRU) based in the School of Mathematical Sciences at the University of KwaZulu-Natal was established to promote research in, and increase public awareness of, astrophysics and cosmology.